The bankruptcy lawyers at Berry K. Tucker & Associates, Ltd. have over 50 years of experience in assisting the residents of Burbank, IL with all of their financial struggles. They have helped individuals to develop a plan for paying off debt as well as file for bankruptcy. They can also assist in evaluating specific situations, guiding you to make financial decisions that are in your best interest. When dealing with bankruptcy, there are two different types: Chapter 7 and Chapter 13. In our experience, Chapter 7 is the most common; however, we have also been successful in a number of Chapter 13 cases. But when dealing with Chapter 7 bankruptcy, all debt that is not able to be paid is forgiven as a result of insufficient income. 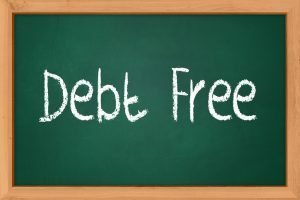 This debt typically includes the following: home foreclosure judgments, medical debts, credit card debt, and car repossession. 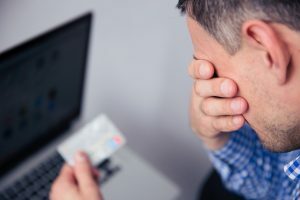 If you have found yourself in any one of these situations, the bankruptcy lawyers at Berry K. Tucker & Associates, Ltd. can provide some relief to your situation. Home Foreclosure Judgments: It can be frightening to discover a foreclosure notice on your home; however, this does not mean that you need to surrender. Our bankruptcy lawyers can help you stop this process by negotiating with your bank to establish a lower monthly payment. Medical Debts: Undergoing complex and/or frequent surgeries and procedures is already stressful. But when faced with jaw-dropping numbers on the medical bills, it can easily feel like your options are limited. However, you may find that filing for bankruptcy is a better option than to undergo economic turmoil when paying off this kind of debt. Credit Card Debt: While credit cards offer a number of tempting benefits, they can also offer high interest rates. As they will jump at the first opportunity to multiply these rates, it will be tempting to send the bills through the shredder. However, when contacting a divorce attorney at Berry K. Tucker & Associates, Ltd. they will educate you of your legal options, guiding you to make the best financial decision. Car Repossession: While many individuals do not realize that they are allowed to take their car back within a short time after repossession, they are unaware of other available options. However, when speaking with a professional bankruptcy attorney immediately after it has been repossessed, the lawyer can negotiate a lower monthly payment for you. In addition, we can also defend you in court if they decide to collect for the remaining amount of the outstanding loan as well as the costs associated when taking the vehicle. The second type of bankruptcy is Chapter 13. This is for those who are unable to pay their bills in full, despite having substantial income. When this happens, our bankruptcy lawyer will work with you to establish an effective plan, providing you with an affordable way to pay off all debt. However, because creating the plan can be a complex process, Berry K. Tucker & Associates, Ltd. highly recommends to involve a lawyer. Before filing for bankruptcy, contact Berry K. Tucker & Associates, Ltd. at (708)425-9530 to discuss all of your legal options. Serving the Burbank, IL area, our experienced bankruptcy attorneys can help you decide whether or not filing is the best option for you.